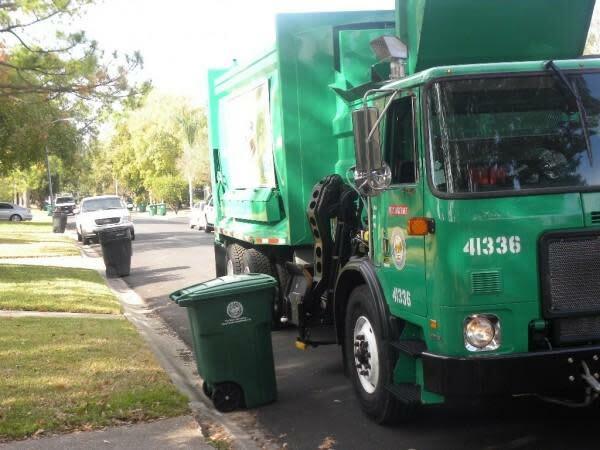 UPDATE: The City of Houston now says regular recycling collection returns to its normal schedule on Monday, February 4. Residents can check recycling collection schedules by visiting the city's website. The posts on Nextdoor and Facebook neighborhood pages repeat a now-familiar chorus: "When is my recycling going to be picked up?" Houstonians are (understandably) exasperated with the overflowing garbage and recycling bins, some of which have not been emptied for weeks. On its website, the Public Works Department cites the busy holiday season and higher volumes at the curb as the reason for falling behind on some pickups. However, CultureMap news partner Eyewitness News reveals that money and manpower are the key issues. Some collection trucks are in disrepair and the city has yet to replace them. Meanwhile, some workers seem to have left for better jobs. Thursday and Friday A-Week curbside recycling pickup. MLK Day: No collection services. All facilities and services closed. Monday and Tuesday B-Week curbside recycling pickup. Thursday and Friday B-Week curbside recycling pickup. Monday and Tuesday A-Week curbside recycling pickup. For more information, visit the Houston Solid Waste website.